It is critical that Graduates obtain that initial position as quickly as possible. Graduate jobsearch by design...not chance! Research shows that the longer university graduates delay in achieving their transition into the workforce, then their chance of developing a career in their chosen field diminishes at an alarming rate. DEEWR research shows that it can take some graduates up to five years to find a career position; with other independent studies showing that 30% never actually achieve their career goals...do not let this happen to you! In a survey of nearly 7,000 graduates conducted by the Graduate Management Admission Council (GMAC) it was noted that most graduates did not get their jobs by applying for advertised positions. Another survey conducted by Graduate Careers Australia showed that 24.7% got their jobs applying on internet job sites, with 5.5% applying to newspaper and other print media advertisements...this is where the ACMA target marketing techniques to access the other 70% (hidden job market) can give most graduates that critical edge. If you think obtaining an undergraduate degree will see you walk into a full-time job in Australia, this chart provides some food for thought. With the increasing casualisation of the workforce there are now lesser full time job opportunities available to graduates than in previous years. Typically Graduates lack the skills to present themselves to potential employers in a professional and industry standard format, in what is invariably a highly competitive market. We will also develop your all important online digital and social media profile. It is a well known fact that universities (and similar educational institutions) fail to properly prepare their students for the transition into the workforce; even though many of them have well resourced student career support services. It is common to hear wrong or misinformation being given to students which actually hinder their career transition opportunities...let ACMA assist and case manage you through this maze. 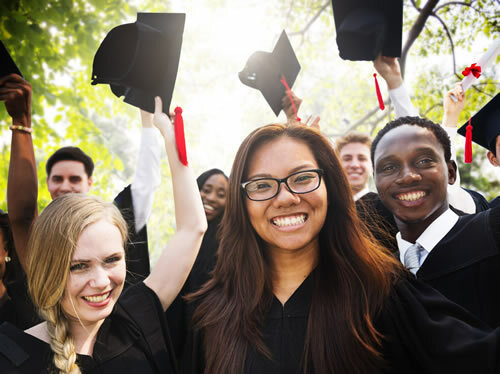 Australia/NZ wide we support, mentor and case manage graduates at all stages and/or locations, thereby giving them the best chance of obtaining that all important graduate position. Our career management consultants have an intimate understanding of all human resource recruitment standards and protocols applicable to both the private and public sectors (this is invaluable information/expertise for any aspiring graduate). We thoroughly prepare graduates in typical selection processes including applications, behavioural interviews, panel interviews, aptitude testing, group exercises/interviews, telephone screening, personality tests, skills interviews, written exercises, presentations, plus assistance in directly target marketing companies that you would like to work for. "You provided me with a lot of personal moral support when at times I thought the dice was loaded against me".